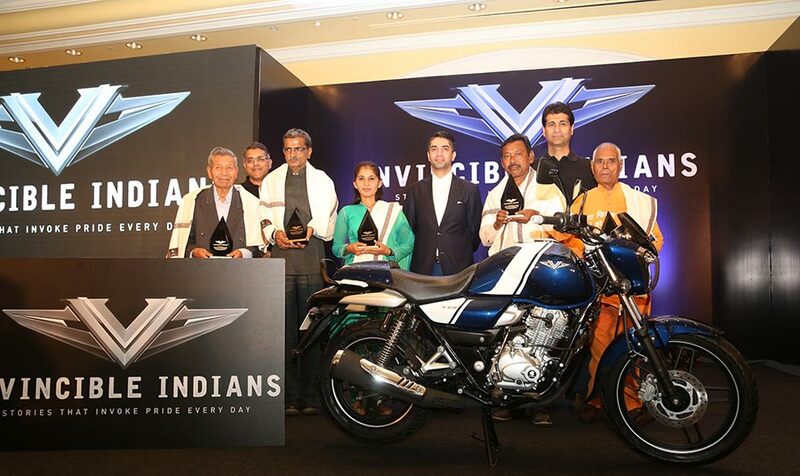 Bajaj V, the bike that contains the metal of the invincible INS Vikrant, today launched a new initiative titled ‘Invincible Indians: Stories that Invoke Pride Everyday’. This is an initiative to uncover stories of ordinary Indians who by dint of their resolve and determination perform extraordinary acts in the service of society. These are acts that happen all around us, yet go unnoticed. Acts that are so powerful and selfless that every Indian’s heart will swell up with pride. The initiative also calls upon the public to identify and recommend other such Invincible Indians. 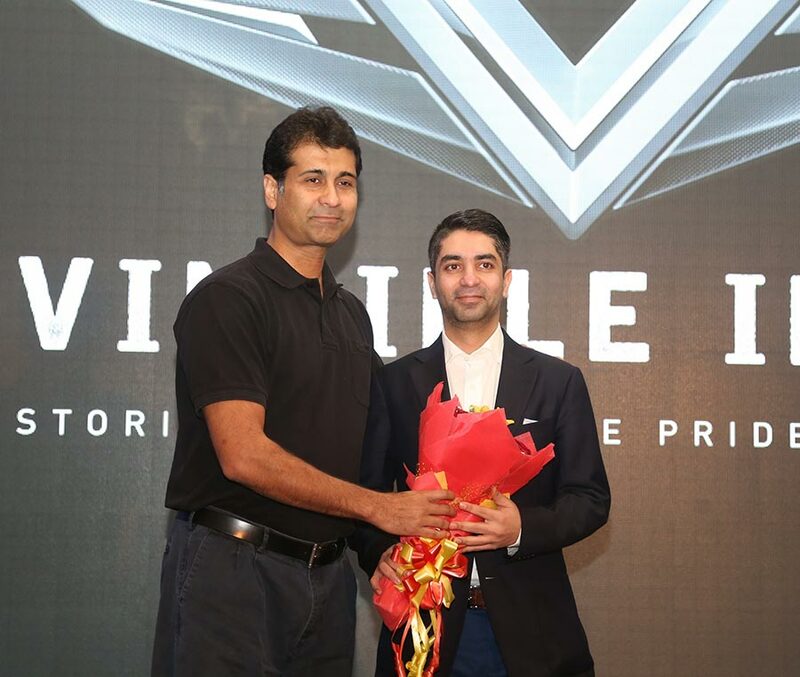 Five such ‘Invincible Indians’ were felicitated by a famous son of India who has himself made the nation proud – Abhinav Bindra, India’s first individual Olympic Gold Medalist in the presence Rajiv Bajaj, Managing Director of Bajaj Auto. Bajaj V also released five videos that capture the inspiring stories of these invincible people. V is a unique brand which has been forged with the pride of the nation, the metal of the INS Vikrant. Our endeavor is to make Indians feel proud every day. ‘Invincible Indians’ is our way of bringing a few such stories of pride to the fore. We are honored to have felicitated five such people today, but we also know that there are many more people out there whose are doing equally good work and deserve to be recognized and lauded for their selfless work. Mr. Chewang Norphel: Created 15 artificial glaciers in Ladakh to solve the perennial water crisis. Awarded a Padmashree in 2015. Mr. Bipin Ganatra: Helped rescue people from more than 100 fires in Kolkata. Recognized as a volunteer firefighter by the Kolkata Fire Department. Mr. Omkar Nath Sharma: Travels across NCR to collect medicines from people who no longer need them, and distributes it to clinics and hospitals who serve the poor. Ms. Vijaylaxmi Sharma: Leading a movement to eradicate child marriages in villages in Rajasthan. 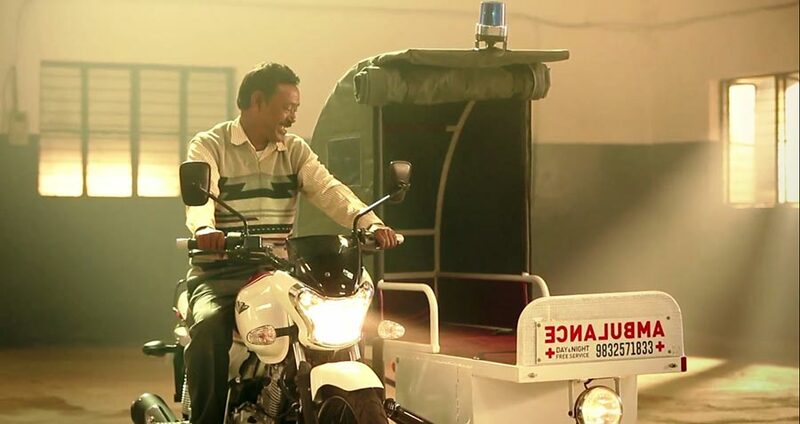 Mr. Karimul Haque: Converted his bike into an ambulance. Offers a 24X7 ambulance service free of cost.